This policy discloses the way DW Dynamic Works Ltd handles personal data on the internet, information concerning users that is being recorded and analysed, and how this information is used, shared or otherwise processed. It is furthermore described how cookies and other technologies can be used in our applications. Any Data Subject and or physical person has the right to communication with DW Dynamic Works Ltd for any related questions or exercise his or hers rights concerning his or hers personal data. 2.1 Processing Personal Data by DW Dynamic Works Ltd. The policy of our company, DW Dynamic Works Ltd, assures that in its cooperation measures with any party, it will be in full compliance with General Data Protection Regulation 2016/679. We achieve this through the full implementation of an effective system of safeguarding and protecting personal data that we collect from any natural person and with full respect for the rights of individuals. Our goal is to collect Personal Data that is absolutely necessary and consistent with serving the legal basis for which these Data have been collected. With this policy DW Dynamic Works Ltd commits in preventing any possible violation of the rights of individuals and protecting them in such a way that the natural persons will fully trust DW Dynamic Works Ltd when their Personal Data are being processed. All of the above will be implemented through an organized system designed to record and monitor the GDPR system from the beginning of the collection to the final recipient. The system is controlled at frequent intervals through documented internal audits, providing feedback to DW Dynamic Works ltd's management for improvement. 2.3 With whom does DW Dynamic Works Ltd share your personal data? When DW Dynamic Works Ltd obtains consent from any data subject for the processing of personal data, Art. 6 (1) lit. a) EU General Data Protection Regulation (GDPR) applies as the legal basis for the processing of personal data. The personal data of the data subjects will be deleted or blocked as soon as the purpose for storing it ceases to apply. The Personal Data will be deleted when a storage period expires that is prescribed by and as it is defined within the Register of Activities for Personal Data, unless there is a necessity for the continued storage of the data for a contract conclusion or contract fulfilment. The temporary storing of the IP address by the system is necessary to enable a delivery of the website to the computer of the user. For this purpose, the user’s IP address must remain stored for the duration of the session. The logfiles are stored in order to ensure the functionality of the website. In addition, the data helps DW Dynamic Works Ltd optimise the website and ensure the security of our IT systems. The data is not analysed for marketing purposes in this context. These purposes are also justified interests of ours in the data processing pursuant to Art. 6 (1) lit. f) GDPR. The data will be deleted, as soon as it is no longer needed to achieve the purpose for gathering it. This will be the case when the respective session is ended in the case that data is gathered for the purpose of providing this website. In the event that the data is stored in logfiles, deletion will take place at the latest after seven days. Storing beyond this point is possible. In that case, the users’ IP addresses will be deleted or anonymised, so that it will not be possible anymore to attribute them to the retrieving client. DW Dynamic Works Ltd uses performance cookies so that DW Dynamic Works Ltd can improve the technical performance such as loading speed and image build up. DW Dynamic Works Ltd uses advertising cookies to check the success of our marketing activities. DW Dynamic Works Ltd uses third-party cookies, e.g. to link our page with LinkedIn, Twitter and/or Facebook and to provide the DW Dynamic Works Ltd users the opportunity to share something directly via LinkedIn, Twitter or Facebook. DW Dynamic Works Ltd uses Google Analytics only with activated IP anonymisation. This means, the users’ IP addresses will be truncated by Google within the Member States of the European Union or in other signatory states of the Treaty on the European Economic Zone. The complete IP address will only be transmitted in exceptional cases to a server of Google in the USA and it will be truncated there. The IP address transmitted from the user’s browser will not be combined with other data of Google. Analysis cookies (advertising cookies and third-party cookies) are used for the purpose of improving the quality of our website and its contents. DW Dynamic Works Ltd finds out from the analysis cookies how the website is used and we can thereby continuously optimise our offer. They can also be used for the purpose of creating a profile of your interests and displaying relevant advertising on other websites. Subject to your consent, which DW Dynamic Works Ltd asks for specifically for said registration purposes and your option to deregister at any time again, DW Dynamic Works Ltd also uses your data to offer you such of our products and services that can be of interest to you. You can deactivate these services by clicking on “Deregister”. If you request further correspondence from DW Dynamic Works Ltd after this time, DW Dynamic Works Ltd will recreate your subscription and you can then again click on “Deregister” if you would like to unsubscribe again. The personal data from your account will be stored for as long as required for the purposes for which the data has been gathered or otherwise processed. This does not apply insofar as DW Dynamic Works Ltd are subject to statutory retention periods. Otherwise, the following applies: If you have not used your account for more than 365 days, DW Dynamic Works Ltd will use your email address to inform you that your account will be deleted..
As a user, you have the option at any time to cancel the registration. You can have the data stored about you be changed at any time. If the data is required for the fulfilment of a contract or execution of pre-contractual measures, a premature deletion of the data is possible only if no contractual or legal obligations are opposed to a deletion. If contact is offered via a provided email address, the user’s personal data transmitted along with the email will be stored in that case. The data will not be passed on to third parties in this context. The data will be used exclusively for the processing of the communication. The processing of the personal data from the input mask serves solely for our processing of the communication. In the event of contact by email, this is also the required justified interest in the processing of the data. Your data will only be processed only with your explicit consent for purposes other than the ones mentioned. The other personal data processed in the course of the transmission process serves to prevent misuse of the contact form and to ensure the security of our IT systems. The user has the possibility at all times to revoke his/her consent to the processing of personal data. If the user contacts DW Dynamic Works Ltd by email, he/she can object at any time to the storing of his/her personal data. In such a case, the communication cannot be continued. Please address the revocation of the consent and the objection to the storing to DW Dynamic Works Ltd via the link provided under Sec. VIII. If your personal data is processed, you are a data subject in the definition of the GDPR and you have the rights listed below in relation to the data controller. As the Data Subject Rights Map show below there are 8 basic rights that the physical persons can have while they “deliver” their personal data to controllers or the controllers collects those data from them. You can demand a confirmation from the data controller of whether personal data relating to you is being processed by DW Dynamic Works Ltd.
applicability of an automated decision-making process including profiling according to Art. 22 (1) and (4) GDPR and – at least in these cases – explanatory information about the involved logic and scope, as well as the intended effects for the data subject from such processing. if you have raised an objection against the processing according to Art. 1 GDPR and if it is not certain yet if the justified interests of the data controller outweigh your reasons. If the processing of the personal data relating to you has been limited, this data may be processed – other than for storing – only with your consent or only to assert, exercise or defend legal claims or to protect the rights of another natural person or legal entity, or for reasons of a compelling public interest of the European Union or of a Member State. If the limitation of the processing has been applied according to the aforementioned conditions, you will be informed by the data controller before the limitation is lifted. The personal data relating to you is no longer required for the purposes for which it has been gathered or otherwise processed. You revoke your consent that served as the basis for the processing according to Art. 6 (1) lit. a) or Art. 9 (2) lit. a) GDPR and there is no other legal basis for the processing. You raise an objection according to Art. 21 (1) GDPR against the processing and there are no outweighing justified reasons for the processing, or you object to the processing according to Art. 21 (2) GDPR. The personal data relating to you is processed illegitimately. The deletion of the personal data relating to you is required to fulfil a legal obligation according to EU law or the laws of the Member States that apply to the data controller. The personal data relating to you has been gathered with regard to offered services of the information society according to Art. 8 (1) GDPR. 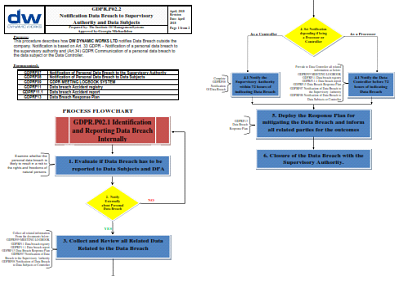 If you have asserted the right to the correction, deletion or limitation of the processing against the data controller, it will be obligated to inform all recipients to whom personal data relating to you has been disclosed of this correction or deletion of this data or the limitation of the processing, unless this proves to be impossible or if such is tied to disproportionate effort or expense. You have the right in relation to the data controller to be informed of these recipients. the processing takes place by means of automated processes. In exercise of this right, you moreover have the right to effect that the personal data relating to you is transmitted directly from one data controller to another data controller insofar as this is technically practicable. Freedoms and rights of other persons must not be impaired thereby. The right to data portability does not apply to the processing of personal data that is required to fulfil a task in the public interest or in exercise of public power that has been delegated to the data controller. The data controller will cease the processing of the personal data relating to you, unless it can prove compelling reasons for the processing that qualify for protection and which outweigh your interests, rights and freedoms, or if the processing serves the purpose of asserting, exercising or defending against legal claims. If the personal data relating to you is processed to operate direct marketing, you have the right to object at any time to the processing of the personal data relating to you for the purpose of such advertising; this also applies to profiling if it is connected to such direct marketing. is made with your explicit agreement. Without prejudice to other administrative or in-court appeal, you have the right to complain with a supervisory authority, in particular in the Member State of your domicile, your workplace or the place of the suspected violation if you believe that the processing of personal data relating to you violates the GDPR. The supervisory authority with which complaint has been filed will inform the complainant of the status and the results of the complaint including the possibility of appeal in court pursuant to Art. 78 GDPR. A data breach means a breach of security that leads to the accidental or illegal destruction, loss or modification, unauthorised disclosure or unauthorised access of personal data, which is transmitted, stored or otherwise processed by DW Dynamic Works Ltd or a third party contracted by it. Persons younger than 16 years of age should not transmit any personal data without the agreement of their parents or legal guardians. According to Art. 8 GDPR, children aged 16 years or younger can declare such consents only with the agreement of their parents or legal guardians. Personal data of minors is not knowingly gathered and processed.